How often we are impatient because God doesn’t seem to be giving us an answer we think we need immediately. We fret and stew because we cannot see tomorrow, and we’re frustrated that we can’t get even a clear vision of today. We do not like traveling through the fog that moves in and shrouds our path! Today guest contributor Mary Jane Smith takes a new view of the foggy days along our spiritual journeys. 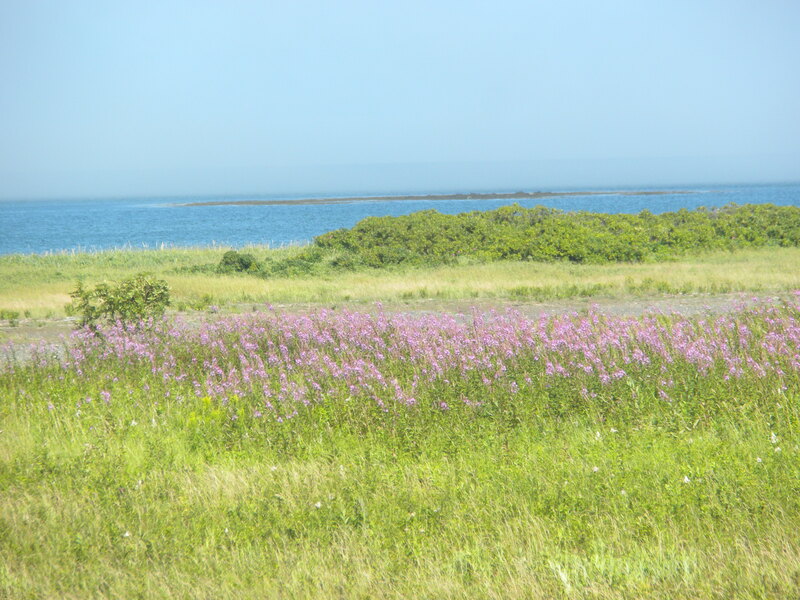 And her memories of one beautiful spot in Lubec, Maine, made me so nostalgic that I had to go back and pull out a few photos to share with you. As a child, I dreaded foggy mornings. Fog distorted everything around me and made the familiar walk to school seem like a scary and unpleasant path. Because fog could obscure an object lying on the walkway, I learned I must slow down instead of making my usual headlong rush toward my goal. Who wants to arrive at school with bloody knees and torn clothing because of falling over something along the way? Recently, I had the opportunity to spend time in Maine with a friend from my college days. Many of our days included a hearty portion of fog – mornings, mid-day, evenings, there was no particular time of day that it would roll in. The sonorous blasts from the channel lighthouse were a constant reminder to lobstermen and boaters that the dangers were very real, especially for those not cautious enough to heed the warnings. As the quiet beauty of the Maine seascape was revealed, then hidden, revealed, and then hidden again, I was reminded that God has protected me many times by not allowing me to see too far into the distance along my spiritual walk. My limited sight has forced me to hold more tightly to His hand and to listen for His softly spoken instructions. Otherwise, if I could see into the distance, I might run before or possibly lag behind Him instead of keeping in step with my Savior and Guide. This passage reminds us that our “sight” will never be clear—until we see Jesus face to face. However, our Lord knows the end from the beginning. He sends us what we need—when we need it. He is never too late, nor is He too early as He assists us on our walk. I also know that If He permitted me to see into the future, down the path I am traveling, there is a great possibility that my heart would balk or resist the difficulties He has allowed on my path. At the end of my journey, I will finally see everything clearly with eyes that are truly opened. As a child, I viewed the fog as a hindrance and a burden. Gaining a measure of maturity, I have come to view it differently. Sometimes on my spiritual journey, God allows me to “walk in the fog” to keep me close to His side. Those foggy times become a thrill and a blessing. They remind me that my inability to “see” my way ahead does not make the road less lovely. Instead, the road becomes more beautiful as I find His love and grace protecting and encompassing me when I rely on Him to direct my way, step-by-step. 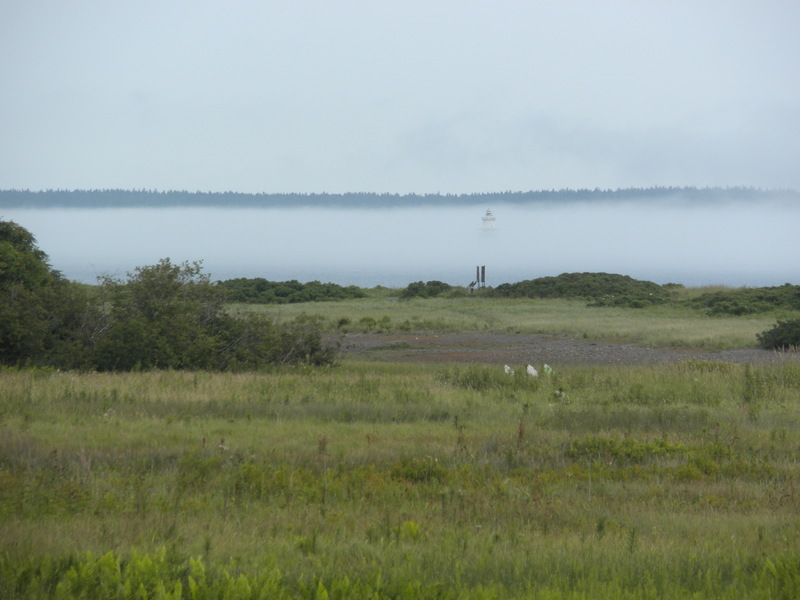 Those foggy parts of my journey – just another example of His AMAZING grace! Provider of all our needs, thank you for protecting us from our desire to see way down our pathway.Thank you for cloaking future difficulties, because in our frailty we cannot handle knowing in advance the hardships we are to endure. Thank you for providing the fog of obscurity to help us keep our hand in yours and our eyes solely on you for guidance. We love and adore you and ask for your direction through this day.